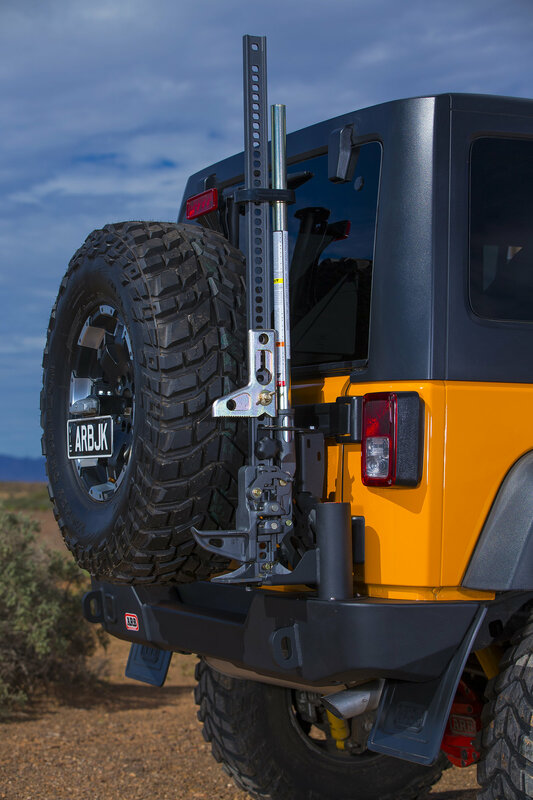 ARB's Rear Bumper with Tire Carrier is the only way to carry up to a 40" tire without rattling noises or vibration. Engineered to take the weight, this carrier is one of the toughest on the market. 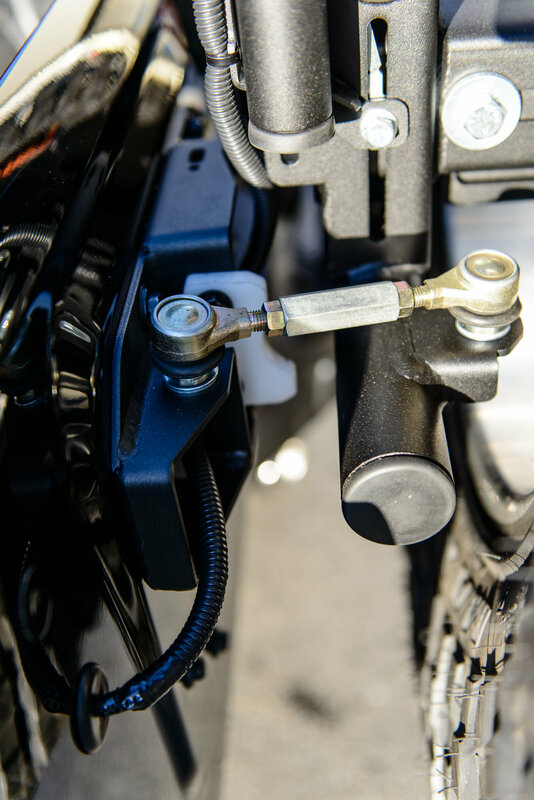 Attached to the tailgate via a tailgate support plate allows you to open the carrier and tailgate at the same time. 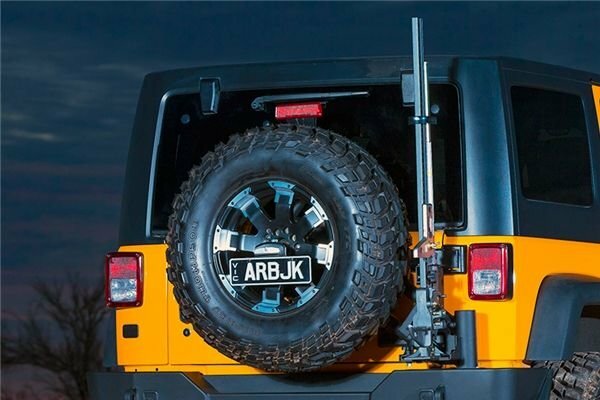 Made from premium quality Australian steel, this tire carrier combined with the ARB rear bumper is the only way to carry your oversized tires. Bumper sold separately. support being direct from the chassis. manganese steel micro alloyed tube with vanadium. within a rubber cradle to ensure a strong and quiet fitment. seamlessly synchronized with the vehicles rear door. arm support for a Hi-Lift jack. easy removal of the jack without the need for tools. I bought the bumper and tire carrier together. Happy with the bumper, and the tire carrier has been solid and rattle free. Problem I'm having is with the arm for the 3rd brake light. The height is adjustable for different sized tires...when it's adjusted properly for my 33's (all the way down), the turnbuckle hits the bottom of the brake light tube. If I adjust it up high enough to clear the bottom of the brake light tube, it hits the mounting bracket before the tailgate is all the way open, and the curved section of the brake light that should line up with the curve of the tire is too high, causing the sharp bottom of the light assembly to dig into the sidewall of the spare tire. This weekend, I ran the wiring for the CB antenna and installed that (4 foot Firestik). When going down the highway, the antenna bends back in the wind and rubs against the light mount above the 3rd brake light for a while, until it gets blown around the bracket and gets caught behind it. It's been 2 days and there are already "divots" on the front and back of the antenna. 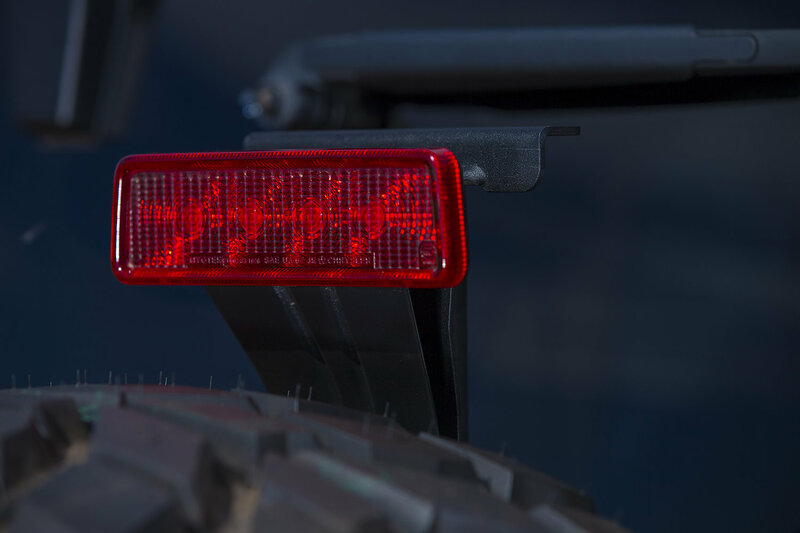 I'm ditching the brake light arm this weekend. I've been in contact with ARB customer service via email. I've sent a bunch of pictures at their request, and they've suggested adjustments, but none have had any effect on my issue. They suggested visiting one of their dealers, but the closest one is an hour and a half away...not willing to take a day off work for a roadtrip, hoping they can figure something out. Giving 3 stars because I'm happy enough with the carrier itself, but at this price point, I shouldn't have any issues with fitment of the brake light arm. Going with Teraflex tire carrier. This is NOT rattle free! Had it professionally installed using ARB's terrible manuals (Front bumper instructions were poor as well). Had to trim part of tailgate bracket to clear when operating. Mounted a 34" tire and suspect that since I wasn't using some monster tire, it didn't fit correctly? Also, third brake light mount was visibly listing and apparently this is normal. Carrier seems to need constant adjustments (especially after off-road) and I'm totally done with it. Installing a Teraflex gate mounted tire carrier today. Don't waste your money..... besides, ARB install instructions are a mess considering their cost. ARB was no help when contacted and just resent the same screw-up instructions via Email. Instructions were not correct for a 2016 JK.